-- Select a Size -- Size 6 Size 8 - Out of Stock! Size 10 Size 12 Size 14 - Out of Stock! Size 16 - Out of Stock! Size 18 - Out of Stock! Size 20 - Out of Stock! Size 22 - Out of Stock! Size 24 - Out of Stock! Size 26 - Coming Soon! 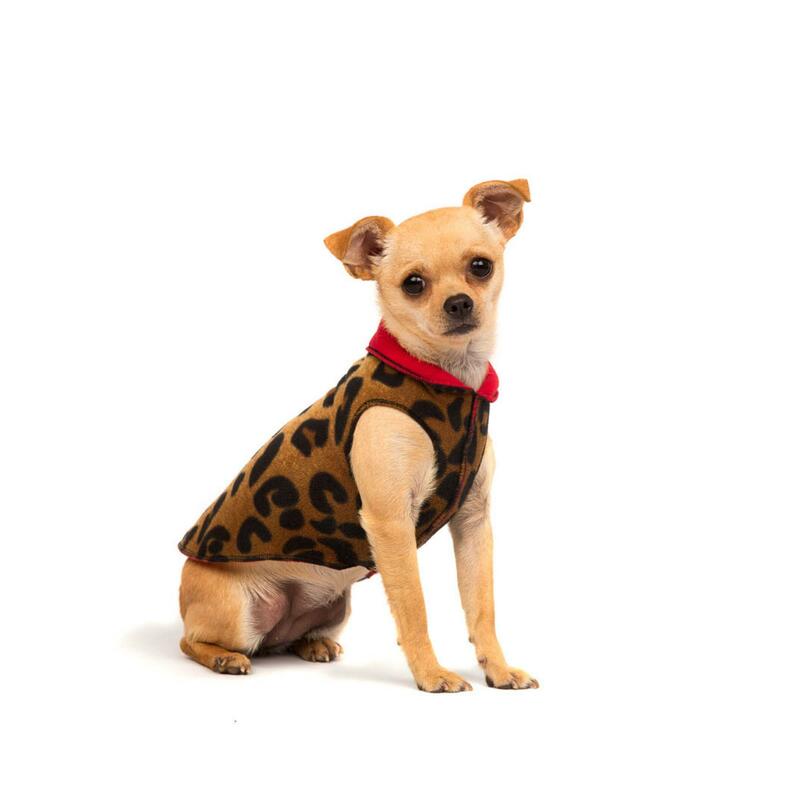 Give your dog the extra warmth and comfort they need with the Gold Paw Reversible Double Fleece Dog Jacket - Leopard/Red! The Gold Paw Reversible Double Fleece Dog Jacket - Leopard/Red is a heavier fleece pullover for every outdoorsy pet - and it's made right here in the U.S.A.! Its soft, luxurious double fleece features 7% spandex creating a four-way stretch for the ultimate in comfort and fit. The finish is unbelievably soft, it's a piece of cake to put on, and moves with your dog, making it the most comfortable pet attire around. The collar can be worn up for extra warmth or folded down for a charming style that reveals the reverse pattern. The high-cut tummy keeps your pet clean and dry with enough chest coverage for warmth and protection. You'll love the fun or classic look and extra warmth of this red and leopard reversible pullover. With solid red on one side and leopard print on the other, it's like getting two jackets in one! Gold Paw Reversible Double Fleece Dog Jacket - Leopard/Red Customer Photos - Send us your photo! Lexi adores this reversible little jacket! She wore it on our recent vacation to the mountains... perfect and so warm! ?? 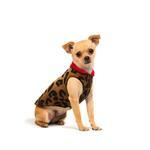 Tanner is modeling the reverse side of the Gold Paw Reversible Double Fleece Dog Jacket - Leopard/Red. It's like having 2 different jackets! Halle loves her new Gold Paw reversible double fleece jacket because it fits perfectly & keeps her toasty warm!